US consumers will soon be able to make NFC mobile payments using their PayPal mobile wallet at all physical locations across the country that currently accept Visa contactless transactions. The roll out forms part of a strategic partnership established between the two payment networks that will see PayPal joining the Visa Digital Enablement Program (VDEP), a service designed to simplify how partners access Visa’s secure token technology. “PayPal will join VDEP, a commercial framework for Visa partners to access Visa’s token services and other digital capabilities in the US,” the companies say. “This will enhance transaction security and expand acceptance for PayPal’s digital wallet to all physical retail locations where Visa contactless transactions are enabled. 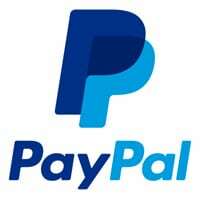 PayPal announced that it was planning to add NFC payment capability to its mobile app at Mobile World Congress in February 2016. The company has in the past taken an anti-NFC stance, though then-president David Marcus revealed in April 2014 that the company was looking again at NFC as one of “three technologies that might truly change the retail experience as we know it”. The payment network began piloting NFC in April last year when it reported a 40% growth in mobile payments. The company partnered with Vodafone to allow Vodafone Wallet users across Europe to make NFC mobile payments in February this year. Visa launched VDEP in May 2015 to build on the company’s token technology and add a turn-key, toll-free commercial framework accessible to more than 14,500 Visa financial institution clients and technology partners around the world. The PayPal and Visa deal will also see PayPal promoting the Visa payment option within its own services as well as enabling users to instantly withdraw and move funds from their PayPal and Venmo accounts to their bank account via their Visa debit cards. “This agreement opens new avenues for PayPal to collaborate with Visa, financial institutions and others in the payments ecosystem to deliver greater value, more choice and new experiences for our joint customers wherever they transaction — online, in-app or in-store,” says PayPal president and CEO Dan Schulman.